“Be a Fan” of Special Olympics with your support! For every inspiring Special Olympics athlete in Wyoming there are 5 more people waiting for their chance. Special Olympics Wyoming (SOWY) offers training and competition opportunities to our athletes and families across the state. The organization is proud to host nearly 1,600 athletes and 1,500 volunteers. No athlete is prohibited from participating based on their ability to pay. Thanks to the generosity of our supporters we are able to offer state wide competiton in 16 sports throughout the year. When you help an athlete, everyone wins. 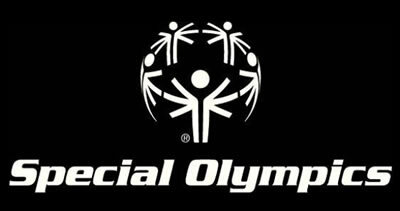 Special Olympics programs help athletes do better at school, home, work and in the community. Athletes develop their self-esteem to overcome a variety of life's challenges. In addition, Special Olympics is addressing critical service gaps through new initiatives. For example, the Healthy Athletes Initiative offers free eye screening, dental screening, and Health Promotion at major events. Over half of the athletes receiving eye exams are given their first pair of prescription glasses. That is what you are supporting when you become a sponsor of Special Olympics Wyoming. Everywhere across the state there are athletes training and volunteers ensuring that everyone who wants to participate is given that opportunity. Contributing to Special Olympics is the ultimate gift that gives back to you. For every dollar and for every hour that you donate to Special Olympics, the rewards and gratitude of helping our athletes reach new goals will far outweigh your contribution. Once you become a part of our movement, you will be a member for life. Help us fulfill a dream, donate now! If you would rather mail a check to the state office please fill out this form.